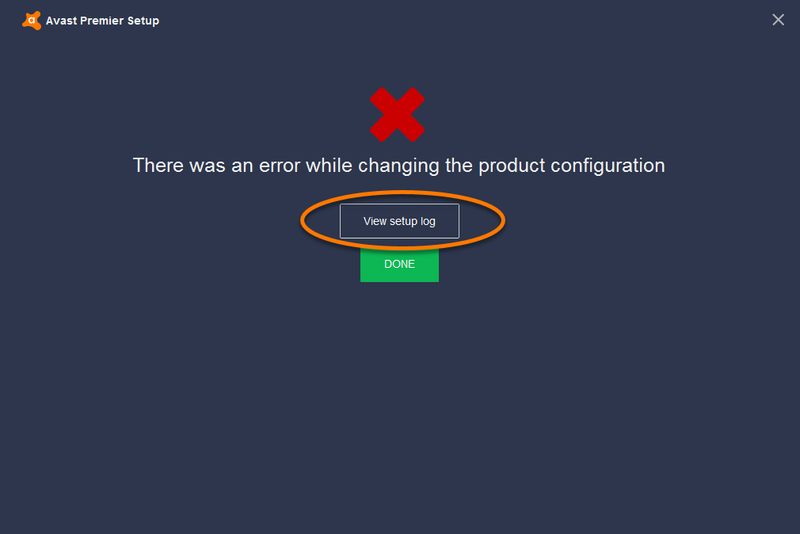 When you contact Avast Support to report that Avast Antivirus failed to install on your PC, you may be requested to provide a setup log file for further analysis. You can access the setup log from the Avast Setup wizard when you are notified of the error, then copy it to Notepad and save it as a text file. 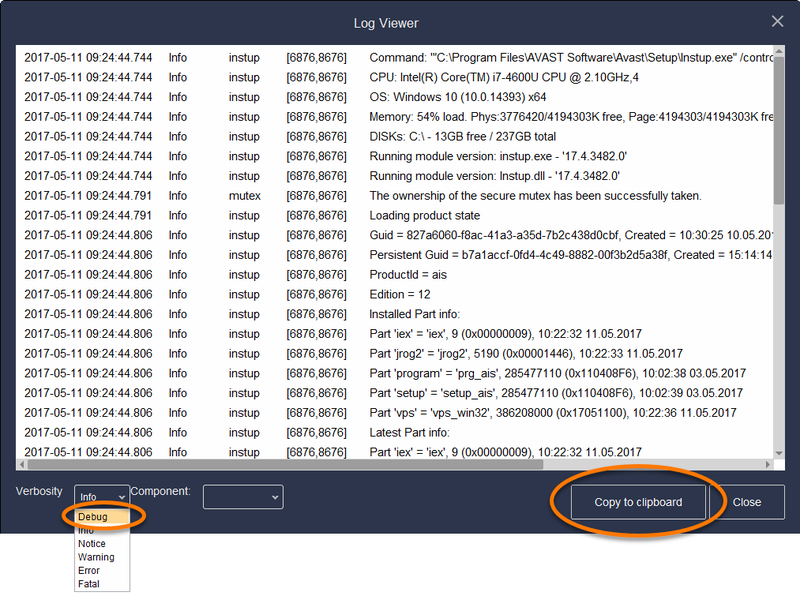 Follow the quick or detailed steps in this article to obtain the setup log file so that Avast support can help you resolve the problem. Click View setup log to open Log Viewer. Change the Verbosity setting in the bottom-left corner to Debug, then click Copy to clipboard. Open Notepad, then click Edit and select Paste to insert the setup log data that you previously copied to your clipboard. Save the text file with the name SetupLog.txt somewhere you can easily locate it (such as your desktop), then exit Notepad. Return to the Log Viewer and click Close. Compress the setup log file using a file compression utility (*.zip), and send it as an attachment to Avast Support. After analyzing the file, Avast Support advises you of the next steps to take.